The seasonal flu shot is advertised in pharmacies, doctors’ offices and billboards across the U.S. and is promoted as a way to keep the virus at bay. While there's evidence that the vaccine has led to significantly fewer hospitalizations during past flu seasons, seasonal flu epidemics are characteristically different from one year to the next, and getting pricked won’t guarantee a symptom-free winter. There is no survey or equation that can determine with certainty how well the flu shot will work from one individual to another. How effective it is at fighting off the virus depends on several factors, including when a flu vaccine is administered, the general health of the person getting vaccinated, his/her age, and whether the vaccine matches the types of human influenza viruses going around, according to the Centers for Disease Control and Prevention. Even during years when the vaccine match was very good, the benefits of vaccination varied widely across different populations, the health agency noted. Studies have shown that people who are vaccinated can still become ill. In any given year, on average, flu shots prevent infection in about 60 percent of people who are vaccinated. For healthy adults and older children, the efficacy of the vaccine jumps to between 70 to 90 percent, according to the CDC. But other age groups experience less protection against the virus. Health experts have estimated the efficacy of the vaccination in children six months to 17 years to be about 67 percent. For Americans aged 65 and older, it's about 52 percent. Immune systems naturally become weaker after middle age, meaning the flu virus is much more dangerous for older people. Hospitalization rates related to influenza remain highest among people 65 and older, according to the CDC. People with naturally stronger immune systems are more likely to benefit from getting vaccinated. The health agency estimated that in the 2012-2013 flu season, the vaccine prevented nearly 6.6 million flu infections and resulted in about 17 percent fewer hospitalizations than otherwise might have occurred. Predicting which strain of the virus will dominate a given flu season is tricky. Flu viruses mutate quickly and often in unexpected ways, including being passed from animals to humans. There are dozens of different strains and hundreds of possibilities for change, health experts have said. Vaccines can protect against just a few of them. Despite the inherent randomness of flu seasons, health officials argue that getting a flu shot is still the best defense against influenza. Even when the vaccination fails to fully fight off the infection, it can still shorten the duration of the illness, soften its severity and prevent additional complications, according to Today. 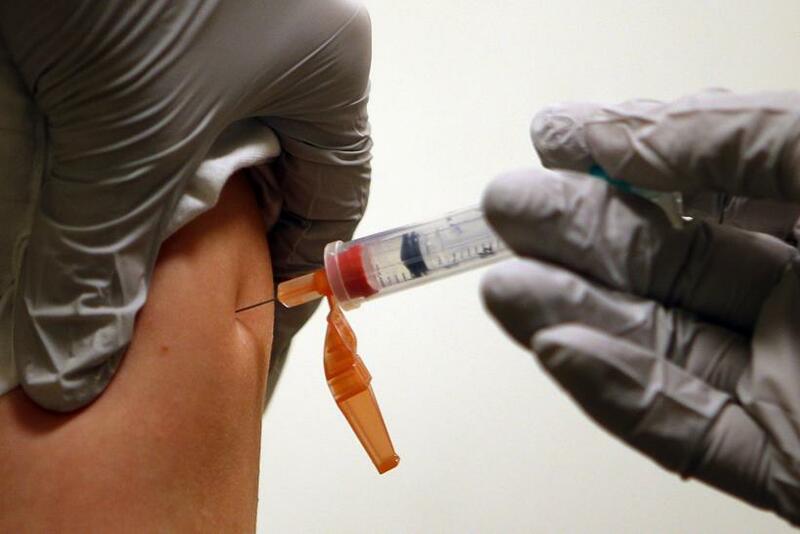 This year, as many as 151 million to 156 million doses of flu vaccine will be available in the U.S., the CDC reports.